A maximum of 62 children may attend. The pre-school is open each weekday from 09:15 12:15 and 12:40 to 3.00 pm. term times only. The children have access to an enclosed Indoor/outdoor play area. All staff are well qualified and trained. At Trinity Hall Kindergarten we believe that young children best develop when learning through play in a safe and fun environment, providing your child with opportunities to grow and develop in a warm, stimulating atmosphere where there are plenty of opportunities to learn and practice new skills, make friends, develop confidence and enjoy new experiences in safe secure surroundings. Our caring, dedicated staff support and encourage children as they follow their development through the Early Years Foundation Stage Curriculum. We regularly observe and assess individual children’s progress and work with parents to encourage their developing skills. We offer 15 hours per week free Government entitlement to some two year olds and all children who are over three years old. Our setting provides both indoor and outdoor facilities for children between the ages of 2 to 5 years. Free places for 2 to 5 year olds! 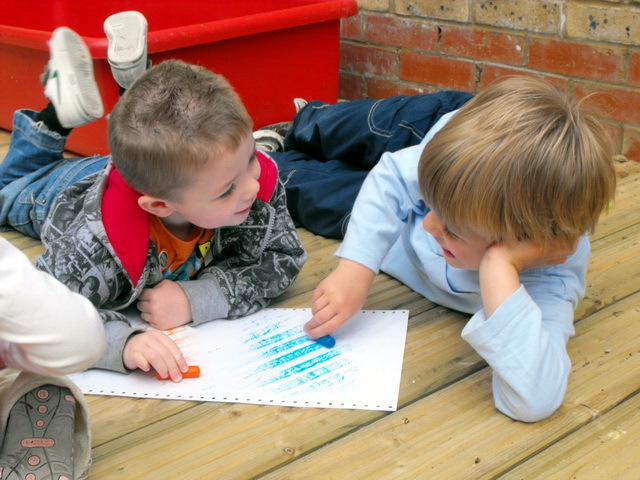 Established since 1957, a most popular preschool, playgroup nursery in Woodford. We also believe that parents and carers have the most influence in a child’s life, viewing them as our partners in the education of their children. We believe in the importance of community. Our surrounding community is a wonderful resource for learning, as well as getting out to explore, we invite local people in to share skills and experiences with the children. Our staff aim to devote their time to all aspects of a child’s growth and development, language and literacy, physical, emotional and social.